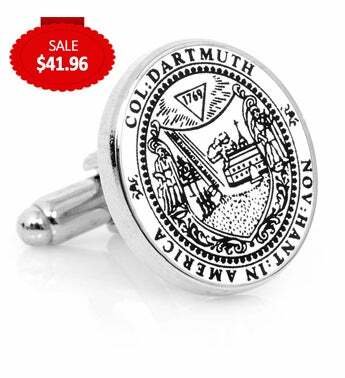 The Dartmouth College Cufflinks by the NCAA are beautifully designed and attractive to wear. They are 3/4" x 5/8" in diameter and come in plated base metal with enamel. Keep your cuffs fastened by using their bullet back closures.